The next two posts will deal with what in my opinion is one of the most overlooked of all the definitive sets: the Medallion Issue of 1932-1935. I must admit that in my early youth, I did not care much for the art-deco bas-relief designs. However, they have become far more attractive to me with the passage of time. I do think that one factor that has resulted in the series being less popular is the relatively small number of stamps in it. 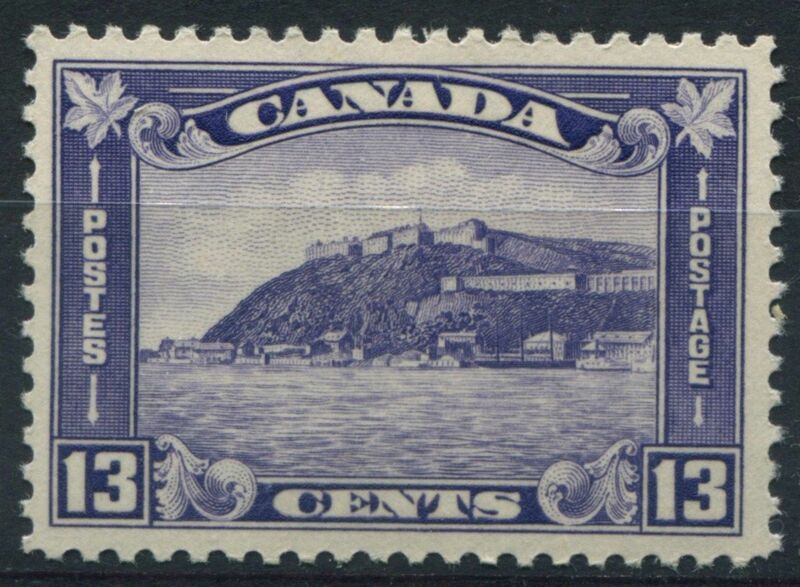 For some reason, the decision was made not to replace any of the high values of the previous Arch Issue, and only to reissue the Old Quebec Citadel design in the new denomination of 13c when the local registered rate increased from 12c to 13c. 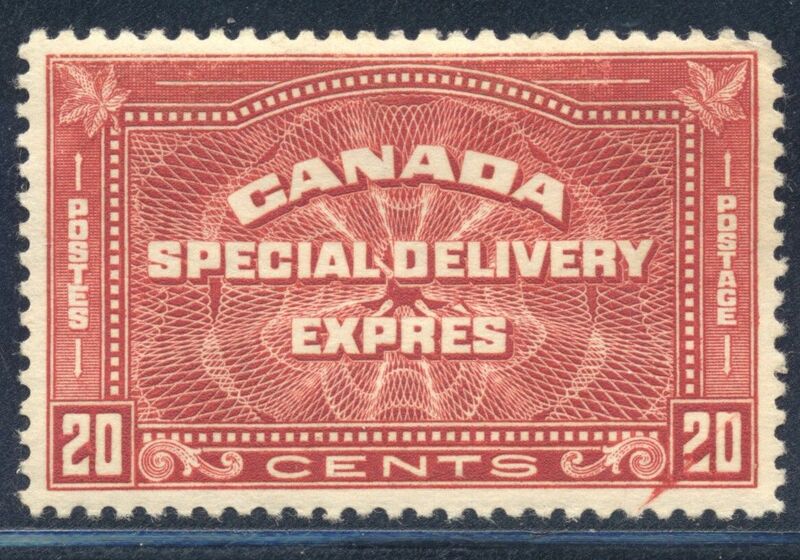 The result was a definitive set that consisted of only 8 basic stamps - 6 low values from 1c to 8c, the 13c Old Quebec Citadel, and the 20c special delivery stamp reissued with "Cents" replacing "Twenty Cents" in the value inscription. However, what can be a weakness to some, can also be seen as a strength, as the relative lack of high values can make this a more affordable set to collect if your budget is more limited. Of course, you may be of the view that the true complete set includes any printings of the 20c, 50c and $1 from the previous set that were made while these stamps were current. As we will see, there are many, many directions in which a collection of this set can be taken, and quite a good proportion of the collectible material from this set is quite scarce. This was the last set to be printed by the British American Bank Note Company (BABN) before losing the contract to the Canadian Bank Note Company in 1935. Consequently, the stamps suffer from the same problems in regards to perforations and centering that the other BABN issues do. The 1c-3c stamps were printed using Stickney Rotary Presses, but the remaining values were all printed using flat printing plates. 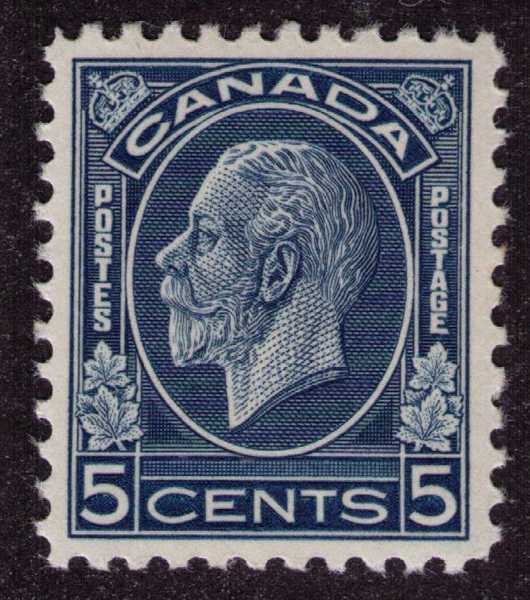 The designs were based on a sculpture of King George V by Edgar Bertam Mackennal, who was a very active designer of the stamps of Great Britain at the time. Today's post will over the first 6 of these, and next week's post will cover the last 6. Although some of these variations are subtle, they are readily apparent when placed next to one another. collecting in blocks of four will allow you to see the differences quite readily. This issue was released during the period in which the gum used by the BABN underwent considerable changes. The variations depend on whether the stamps were printed from flat plates, or rotary plates. Unitrade notes that the 1c is printed using both flat plates and rotary plates. However, it has been brought to my attention by Julian Goldberg, a Toronto philatelist, that this is incorrect. Apparently all the stamps printed using rotary plates are perforated 11.25 x 11, whereas the flat plate printings are all perf. 11 x 11 exactly. Mr. Goldberg has established this through extensive research into both the perforations and the Stickney Rotary Press technology that the BABN adopted from the Bureau of Engraving & Printing in the USA that devised the technology. The 1c so called flat plate stamp is perforated 11.25 x 11, and the design dimensions are consistent with the stamp being printed using the rotary method. Mr. Goldberg is of the opinion that it is actually a rotary press printing made on pre-gummed paper, as opposed to the other rotary press printed stamps which are wet printings. Mr. Goldberg calls this stamp the "Avro Arrow of Canadian stamps", referring of course to the ill-fated aircraft that was scrapped by the Diefenbaker government due to political pressure from the US. He thinks that the BABN improved the technology and modified it to work with pre-gummed paper, but that the Bureau of Engraving and Printing may not have been happy with these modifications, which may have been the reason why the 2c and 3c stamps are extremely rare thus. I had thought they did not, but apparently some plate blocks were found that were printed using the dry method. 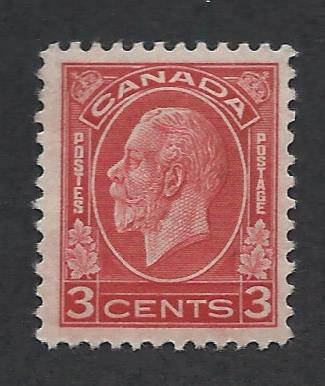 The 1c however, is the only one of these three values that is not a rarity when printed by the dry method. The papers vary in thickness as well, with the rotary press printings being on thicker paper than the flat plate printings. The paper for both the flat plate printings and the rotary press printings can be found with mesh that is either not readily visible, or with clearly visible vertical mesh. The gum on the rotary printings is usually creamy off-white in colour, but what varies is the degree of sheen to the gum, as well as the presence or absence of dark vertical streaks running through the gum. These can either be very dark and prominent on the stamps, or can be almost invisible. The early printings from December 1932 and very early 1933 have very dark coffee coloured gum, which often appears quite mottled. It can either be quite shiny as well, or have a less shiny satin sheen. 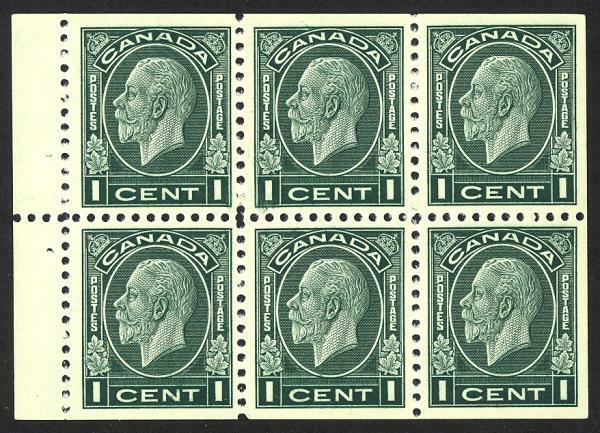 Moving into 1933, it becomes more yellowish, less brownish and not mottled, being clear and usually quite shiny, though printings from later in 1933 have gum that has more of a satin sheen. On the 1934 printings the gum is cream coloured and has a satin sheen, being completely different from the earlier gum. Some philatelists who are unfamiliar with the gum differences on this issue, often make the mistake of thinking that their stamps are damaged, when they are perfectly sound. All the 1c, 4c, 5c, 8c and 13c stamps that I have examined seem to show the full range of gum types, as one would expect. 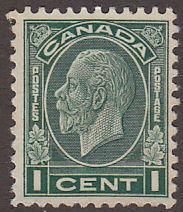 1c green - 6 plates were used for the printings made by the rotary process. 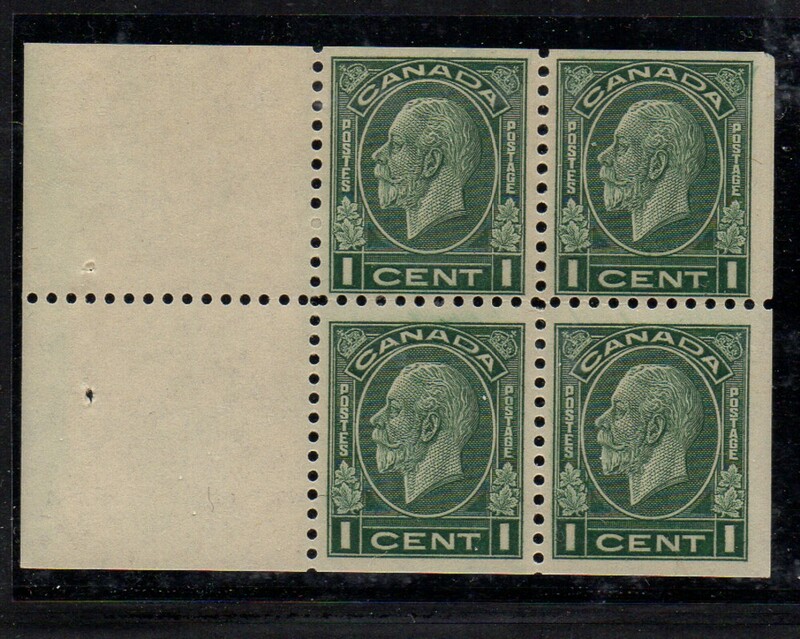 1c green - 3 plates were used for the flat plate printings. 2c black brown - 3 plates were used. 3c deep red - 2 plates were used for the die 1 rotary press printings. 3c deep red - 10 plates were used for the die 2 rotary press printings. 4c ochre - 2 plates were used. 5c dark blue - 2 plates were used. 8c red orange - 2 plates were used. 13c dull violet - 2 plates were used. 20c brownish vermilion - 1 plate was used in upper positions only. Ignoring the possible shade, paper and gum varieties, there are thus 130 different plate blocks. Most blocks from this issue are worth quite a bit more than the price of the corresponding single stamps. This is true regardless of whether the blocks are fine, or very fine, hinged or never hinged. The so called "blue nose" re-entry in which a shift of the horizontal shading lines resulted in a doubling of the horizontal shading lines on the King's nose. Both of these re-entries were retouched to correct them. However, some of the doubling is still present, and it is this detail that enables us to identify them. According to him there are no other re-entries reported on the stamps of this issue. I find it hard to believe that there aren't any more on the other values. I believe that there must be other plate flaws, re-entries and the like - they just have to be discovered and properly documented. 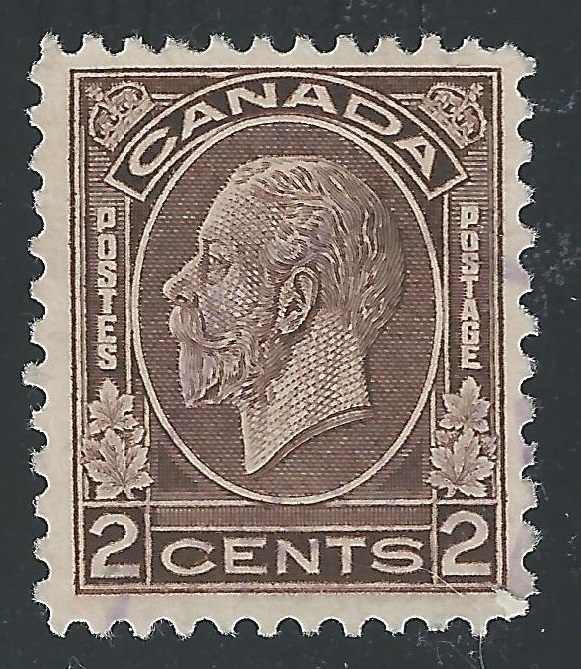 If you look at the 20c stamp illustrated above, you can see a slash - like flaw passing through the lower right "20". It is flaws like this that need to be studied further to determine their significance. Panes of six with a narrow selvage tab. All of these were printed using the flat plate method, so many of the paper and gum varieties should exist on these as well. These were all issued on September 19, 1933, almost eleven months after the issue first appeared. The 1c and 2c panes are scarcer than the 3c panes, as they were only issued in one particular 25c booklet that contained one pane of each value. 125,000 such booklets were issued in English, and 40,292 were issued in French, so that only 165,292 panes were issued for the 1c and 2c. Both these booklet panes can be found with either completely blank tabs, or tabs that show a portion of the plate inscription for "Plate" or "No. 1". The 3c was also issued in a second 25c booklet that contained two panes of 4. The 216,000 French booklets that were issued, were released earlier than the English booklets on August 22, 1933. 2,424,000 English booklets were issued on November 13, 1933. Since these each contained 2 panes, the total number of 3c panes issued was 5,445,292 (165,292 + (216,000 x 2) + (2,424,000 x 2)). The 3c panes can be found with the same tab inscriptions as the 1c panes, but also a third variety showing a partial inscription "No. 2". These were issued only for the 1c and 2c values, with both coming from completely different booklets. The 1c panes came from booklets containing 4 panes of 6, and were issued on different dates, depending on whether the booklets were English or French. 27,087 English booklets were issued on December 28, 1933, while 15,461 French booklets were issued on March 26, 1934. The 1c panes can be found with either "Plate" or "No. 2" inscriptions in the tabs. The 2c panes came from booklets containing 2 panes of 6, and were issued on September 7, 1933. 103,000 English booklets and 10,284 French booklets were issued. These can also be found with either "Plate", "No. 1", and "No. 2" in the tabs. Type 2 booklets have a "Register" or "Recommendez" inscription. The booklet containing 4 panes of the 1c: 3 x 3 x 3 x 3 x 2 x 2 = 328 different booklets. The booklet containing 2 panes of the 2c: 4 x 4 x 2 x 2 = 64 different booklets. The booklet containing 2 panes of the 3c: (4 x 4 x 2 x 2) - 16 = 48 different booklets. The reason why so many possibilities exist is that each pane in the booklet can either be blank or contain an inscription. Only 48 possible booklets exist for the booklet containing 2 panes of the 3c, as the type 1 booklets with tabs that are inscribed are not known in French. These booklets are all very expensive, due to their considerable scarcity. They all list in Unitrade in the $170-$1,200 range. Given that there could be as many as 440 different possible booklets to collect, getting them all, if they even exist, would be a lifetime endeavour. There is one well documented instance of two dies types on this issue, which comes upon the 3c value. Basically, the first two plates, which were die 1, had the top point of the 3's even with the white horizontal line above the word "cents". It seems curious to me that there wouldn't have been similar die type differences on the other values as well. It would be an interesting exercise to examine a large lot of used 1c and 2c stamps to see if any similar differences could be discovered. This concludes my first post about this fascinating issue. Next week I will cover the remaining aspects. Are you saying that the one cent, two cent and three cent stamps were printed by both the Flat Plate method and Rotary Press methods which also include both wet and dry versions? If that is the case, then there are actually three stamps of each denomination? I believe that is correct, although I have never personally seen flat plate printings of the 2c and 3c. However, Julian Goldberg was kind enough to show me some examples. If that is the case, then the Flat Plate printed stamp would be a different size than the Rotary Press printing and of course have a different perforation on two sides, 11 instead of 11.25. From what I've read from other materials available, the sheet stamps were Rotary printings and booklet stamps were Flat plate. See: Evaluating the Medallion 1¢ Variety. 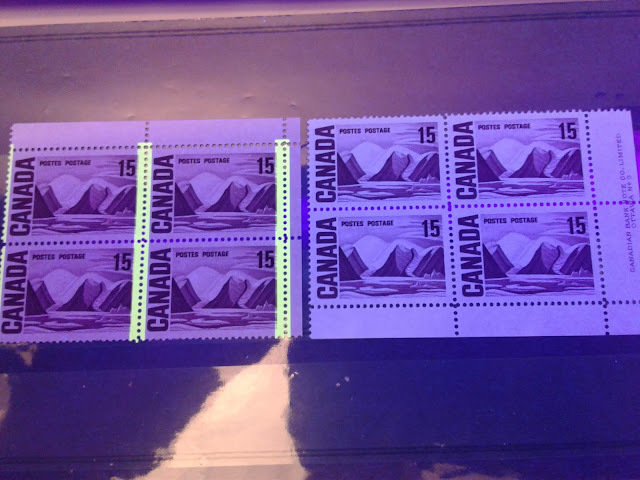 A look at how the stamps were printed. See follow-up: BNA Topics Jan/Mar 2015 #542 p5.